Don has 25 years of real estate development experience in both the private and public sectors with a broad range of responsibilities, such as representing the U.S. real estate development interests of Grosvenor, an international property group, and project management for the City of San Francisco. He brings a unique combination of political savvy, interpersonal skills, and understanding of real estate investment fundamentals to each project he works on. 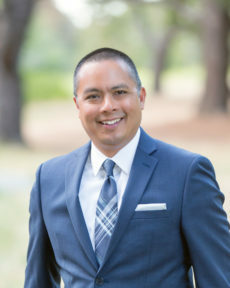 As a well-respected community leader and business partner, Don’s passion for transformative urban place-making pairs with his expertise in rental/for-sale residential, retail and hospitality, making him an exceptional choice for any team who strives for innovative solutions and progressive thinking. Lead SFRA representative on the City of San Francisco team that negotiated the initial conveyance agreement with the U.S. Navy and development agreement with Lennar for the development of Hunters Point Shipyard. This 500-acre naval base conversion in San Francisco’s southeast sector will ultimately include over 12,000 residential units, three million square feet of R&D space, and 300 acres of parks and open space. Entitlement work included NEPA and CEQA documentation and a comprehensive community benefits package for the Bayview Hunters Point community of San Francisco. Development agreement with Lennar included a complex public finance package including tax increment financing and use of municipal bonds. General Plan Update for 40 acres in Los Gatos, California for a mixed use project that included approximately 750 residential units and over 500,000 square feet of commercial space. Approval of Specific Plan in 2015 and currently processing development application for same property. Successful entitlement history for residential infill projects ranging from 90-acre redevelopment in Detroit to multiple projects throughout high barrier to entry Silicon Valley communities. Successful infill or brown field retail/mixed-use entitlements in Marin County, California; Detroit, Michigan; Silver Spring, Maryland; and Washington, DC. Active participant in numerous community master planning efforts, including Detroit Mayor Dennis Archer’s 1993 Land Use Task Force and redevelopment project area planning in San Francisco’s Yerba Buena Gardens, Western Addition and Bayview Hunters Point neighborhoods. Negotiated numerous retail leases ranging from in-line shop space to a lease with Safeway for a 65,000 square foot store plus fueling station. Established strategic partnership with Manresa Restaurant (3-Michelin stars) to plan artisan market hall in Los Gatos, California. Provided asset management responsibilities for office and retail properties. Sourced and negotiated option agreement for prime 32-acre Silicon Valley infill mixed use development site. Option structure provided control of property during lengthy entitlement process without closing. Ultimate build out value of property estimated to be approximately $750M. Assisted in sourcing and acquiring a 20-acre Bay Area aged shopping center site for redevelopment into a mixed use program. Total value of acquisition approximately $30M. Negotiated a purchase and sale agreement with a regional home builder for a 10-acre portion of a larger master planned community within a Silicon Valley mixed-used development site. Value of disposition approximately $60M. Acquisition of a two-acre site in Silver Spring, MD. Total projected value of residential and retail mixed use project approximately $100M. Negotiated development management and jointventure operating agreements. Successful in winning and negotiating a franchise agreement with Marriott International for an extended stay hotel at a high profile Washington DC site. Participated in acquisition of 88 acres in Detroit’s lower east side. Included public sector negotiations and lot-by-lot parcel assemblage.